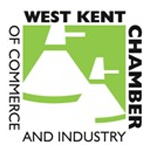 Last month DMP proudly became part of West Kent Chamber of Commerce and Industry Exchange. WKCCI are an organisation set on helping businesses evolve and develop by way of communicating with local businesses and the community. We are excited about attending our first networking event at the end of May!